Nashville is a hopping city and its an amazing place to visit. You have so much to do while you are there and the best way to experience Nashville and Tennessee is in an RV Rental. Why be stuck in a hotel which means you are stuck to one location the whole time. 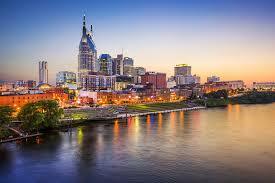 Why not visit Nashville and then see the whole beautiful state. Being mobile is the best. In Nashville you have country music and everything that involves that such as the the honky tonk bars and the country music hall of fame. And then you have professional sports teams that are always fun to tailgate at. Then the State has some amazing college sports teams especially University Of Tennessee in Knoxville TN. You also have some beautiful scenery in the rocky mountains. We can’t forget the awesome whitewater rafting on the rivers and let me tell you some of these places are in the middle of nowhere and the best way to relax after a day on the river is to go into your RV unwind instead of having to drive an hour or two to civilization. If you are anything like me then you have no desire to own an RV because of the cost and the upkeep. But you still want to enjoy traveling with one. So then you have to resort to renting one. 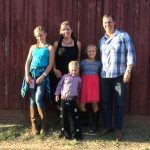 This one is the best way to rent an RV and it also happens to be my favorite option. Basically what you have is two parties, one that wants to rent an RV and one that wants to rent their RV out. You have 2 companies that facilitate it all for you. So if you want to rent you go to one of the two websites and put in the location you want to rent at and then you get to choose from all the RVs located in or near your selected location. The websites facilitate all the payments, paperwork and insurance. It all works really well. The two companies are RVShare and Outdoorsy. I have used RVShare and had a really good experience. Read my review of RVShare here. It’s the same thing as AirBnb but it’s for RVs instead. You do have to remember that you are dealing with people so some will never get back to you if you message them or request to rent their RV. So do not wait until the last minute to rent and you should be all good. This is my the next best option. I have actually rented from Cruise America in Nashville and had a really good experience. This was before the peer to peer option was even available. I split it with 4 other guys and we went to Knoxville to see a football game. It was a lot of fun and I would definitely do it again. They are a little more expensive but you are renting from a reputable company that will not run away with your money. You have to be careful to not go over the allotted miles because they then start to charge you a lot per mile and make sure you refill propane and dump the sewage tanks yourself because they will charge you a lot to have them do it. As long and you plan your trip and stick to the plan you will be okay. You will also be a traveling billboard for them because they have their name and phone number plastered all over the RV. The next best option is to rent from a dealership. I have never done it this way but from what I can tell from research is that they tend to be a little bit more expensive and sometimes the dealership is not open all the time so you may be limited as to when you can pick up and drop off. But you are renting from a reputable company that takes good care of the RVs because they can maintain them on site. When you do find a dealership that rents RVs and if you want one on a popular weekend you will find that they tend to rent out quickly so again like I have been saying with everything else. Do not wait until the last minute to book. You have a few really good options when renting an RV in Nashville with the peer to peer option being my favorite. Whatever you choose to do have a great time and please be safe especially when on the road.